In our 13th Season (2013-2014), WriteGirl public events and readings were held at Skylight Books, Los Angeles Times Festival of Books, The Mark Taper Auditorium at the Los Angeles Central Library, and the Writers Guild Theater. First Lady Michelle Obama presented WriteGirl with the National Arts & Humanities Youth Program Award! First Lady Michelle Obama presented WriteGirl with the National Arts & Humanities Youth Program Award. WriteGirl Executive Director Keren Taylor and mentee Jacqueline Uy. 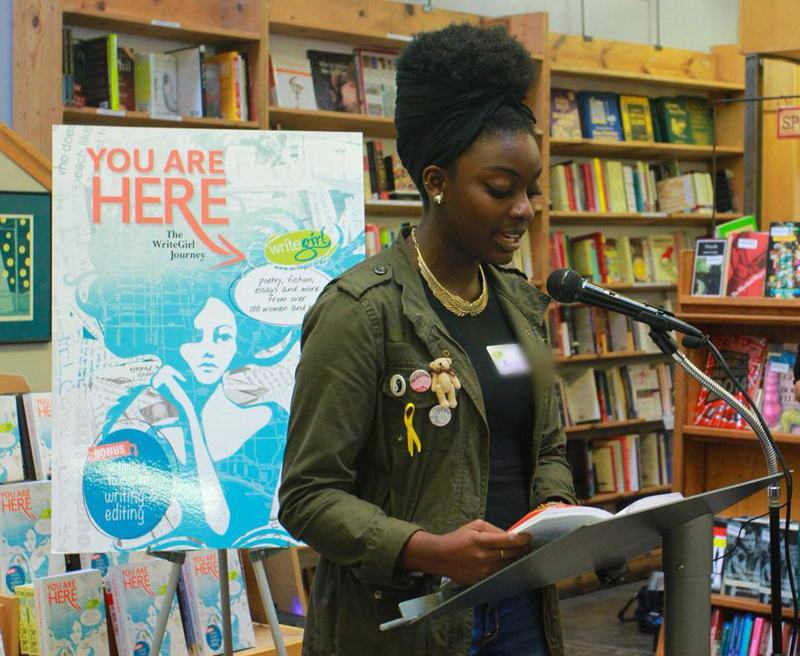 WriteGirl teen Amanda Gorman, 16, was named LA's first ever Youth Poet Laureate. WriteGirl mentee Anneliese Gelberg won a Scholastic Writing Award for her piece, Evelyn And Emilia, Or, The Elegy. "Lights, Camera, WriteGirl!" Event. Actors Wilson Bethel (Hart of Dixie), Alison Becker (Parks and Recreation) performed scenes written by WriteGirl mentees. SEASON 13 HIGHLIGHT: Acclaimed singer/songwriters turned our girls' stories into lyrics at our annual Songwriting Workshop! Artists including Bonnie McKee (writer of Katy Perry's "Roar") helped our girls craft songs that were then performed onstage. Our girls impressed the pros with their courage and creativity! SEASON 13 HIGHLIGH: In the company of celebrities and best-selling authors, our girls owned the stage at the Los Angeles Times Festival of Books. Our young authors wowed the crowd as they read from their book You Are Here. SEASON 13 HIGHLIGHT: Singer/songwriter Lykke Li gave our girls songwriting advice backstage after performing on Jimmy Kimmel Live! She encouraged our girls to be authentic and write from the soul. WriteGirl volunteer Clare Sera, co-wrote the film Blended, starring Drew Barrymore and Adam Sandler. SEASON 13 HIGHLIGHT: WriteGirl's 12th anthology, You Are Here: The WriteGirl Journey, has won 6 awards, including an International Book Award! WriteGirl Mentees Go to College! 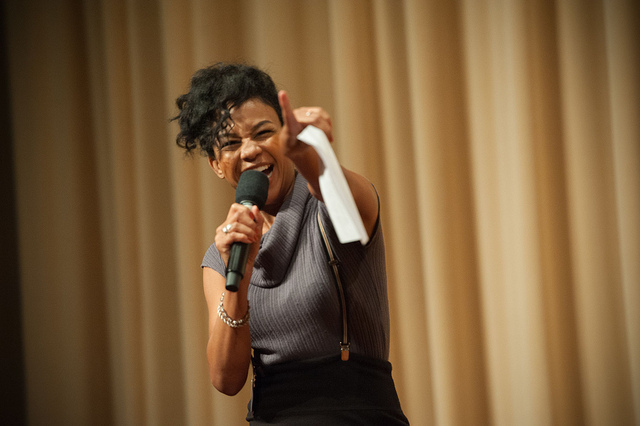 SEASON 13 HIGHLIGHT: WriteGirl has a successful track record of sending 100% of our seniors to college! Congratulations, to all our seniors! We can't wait to see what great things youíll achieve! 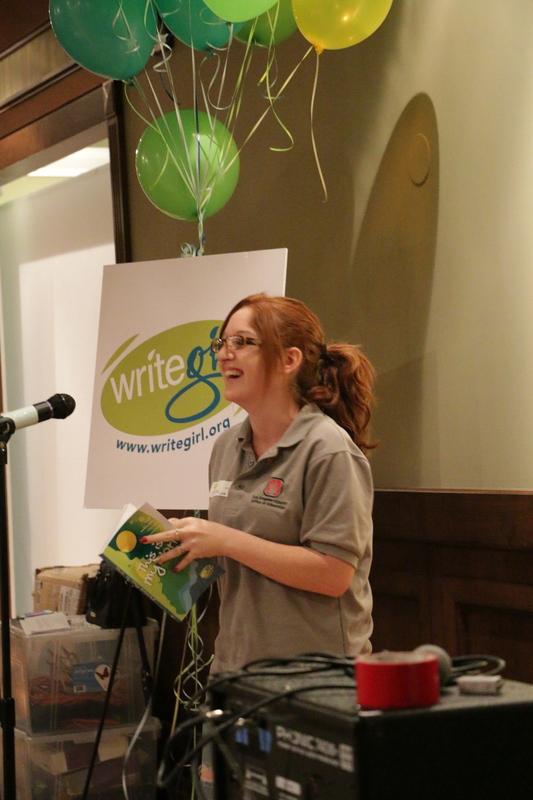 WriteGirl celebrates a wonderful season of creativity and writing by our teen girls! Join us as we celebrate the work of the girls (and even a few boys!) in our In-Schools Program as they share stories from their new anthology, "This is My World.” Come celebrate a successful year of reflecting, discovering, and growing through creative writing. Since 2005, our In-Schools program has worked with LACOE in bringing creative writing mentors into the classroom to guide students in poetry, songwriting, fiction and more. Join us at Maker City LA on June 11th from 10am-1pm as these young authors step up to the microphone to share their stories! Support WriteGirl while enjoying an evening of scenes and monologues written by our teens and brought to life by a cast of celebrity actors. This benefit event will include a reception, silent auction, and unforgettable performances. You won’t want to miss it! Troian Bellisario (Pretty Little Liars), Wilson Bethel (Hart of Dixie), Alison Becker (Parks and Recreation), Keiko Agena (Gilmore Girls), Aasha Davis (Friday Night Lights), Mike Rock (Chelsea Lately), Sprague Grayden (24), Trevor St. John (Bourne Ultimatum) and more. WriteGirl authors reading their work onstage at the LA Times Festival of Books! Our girls will be performed original pieces from our latest anthology: YOU ARE HERE, as well as new pieces written throughout the season! Mark your calendars to join us for this special chance to hear our girls speak their minds and read their original work. Skylight Books in Los Feliz has become a part of WriteGirl tradition - you won't want to miss this one! Book Launch for "YOU ARE HERE: The WriteGirl Journey"
WriteGirl Associate Director Allison Deegan with current mentee Jackie Uy, and alumni mentees Kylie Anderson, Alejandra Castillo, and Camille Patrao.